The rabbis said on Yom Kippur that we were to abstain from cleaning and washing ourselves, (that’s right no brushing teeth or taking showers.) And we were to abstain from anointing ourselves (think no deodorant or perfume) and even from sexual relations (I think that one is self-explanatory). In fact we were supposed to abstain from any behavior that was corrupting our soul. 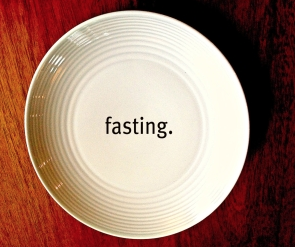 Fasting from food may do it for you, but if the entire time you are obsessing about when you can eat the lox and bagels then maybe it is time to reassess what you should be fasting from. This year on Yom Kippur Fast from Judgment. Stop looking to see what others are wearing in synagogue. Stop assessing who looks thinner, happier and more together than you this year. That conversation in your head is just one big distraction preventing you from being the compassionate understanding person you really are. This year on Yom Kippur Fast from Complaining. In our society complaining has become the way to be heard. We all know the adage, “The squeaky wheel gets the grease.” We believe that in order to be acknowledged or seen, we have to complain. But that complaining is corroding our souls. Have you ever complained to a salesperson and then the next day (not five minutes later) felt better about yourself? I don’t think so. This year on Yom Kippur Fast from Procrastination. There are always things on our list that keep getting set aside because they feels too taxing or difficult to do. Maybe it is talking to your parents about aging or confronting your child about his/her partying. Maybe it is simply paying your bills or going to gym. This year commit to completing one of those tasks on Yom Kippur. I promise you, it will not be easy but you will be better for it. Since I was 12 I have been fasting. It is the easiest part of Yom Kippur for me. What is really hard to do is stop the behaviors that are preventing me from developing into the kind of person that I envision myself to be. This is my prayer for you. Fast or don’t fast from food and water, but fast from some behavior that is pulling you away from you. I promise you that you will feel cleaner and better from the inside out.